As we get older, our smiles lose their gleam. The natural aging process, coffee, tea, red wine, tobacco use, and certain foods deposit yellow- and orange-tinged stains on teeth. Dental bleaching removes these discolorations and creates more youthful-looking smiles. Several products exist to remove stains, but which one do you choose? We recommend dentist-supervised take-home teeth whitening to brighten teeth up to 10 shades. Bleaching in our Allentown office is also available. Why Choose S. John Salivonchik, D.M.D., P.C. for Teeth Whitening? Dr. Salivonchik will assess the stains on your teeth at your dental bleaching appointment. 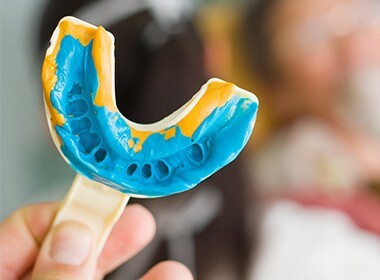 If you’re a candidate for teeth whitening, we’ll take a dental impression to fabricate your custom bleaching trays and supply you with professional-grade bleaching gel. You’ll wear the gel-filled trays for a short time each day. Following ten days to several weeks of use, a brighter, younger smile will emerge. Also, we donate our teeth whitening fees in your name to the Children’s Cancer Research Fund at the University of Minnesota. We created this charity 20 years ago and are proud to have donated over $100,000. Take-home teeth whitening delivers consistent results that dramatically brighten smiles without altering tooth structure or irritating sensitive oral tissues. The peroxide gel has been proven safe and effective and is used by millions of people just like you to enhance the appearance of their smiles. There is a lot of confusion over the best way to whiten teeth. Manufacturers of lights and lasers (like Zoom) for in office whitening have done a good job of marketing their products to patients. Most dentists know, but very few patients realize, there is minimal evidence to suggest that this is more effective than take-home whitening. In fact, most research shows the lights used as part of some in-office whitening do nothing at all. Teeth with gray stains caused by medications such as tetracycline often don’t respond well to dental bleaching. 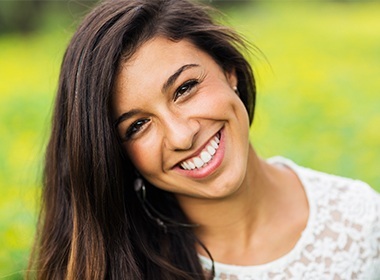 In these cases, Dr. Salivonchik may suggest dental bonding or porcelain veneers to conceal discolorations and create bright, attractive smiles.